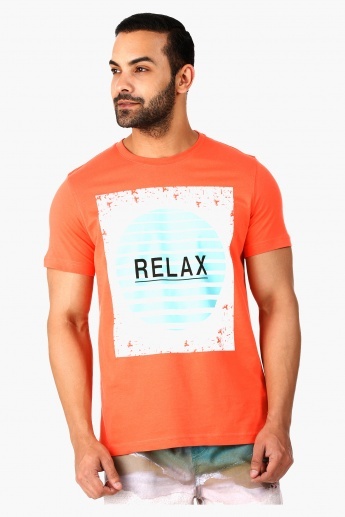 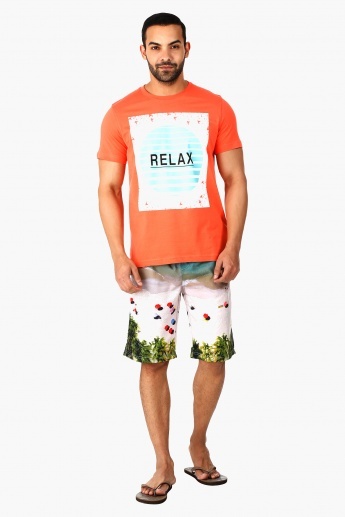 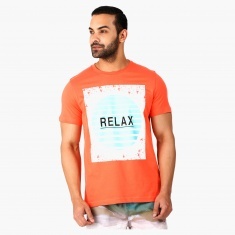 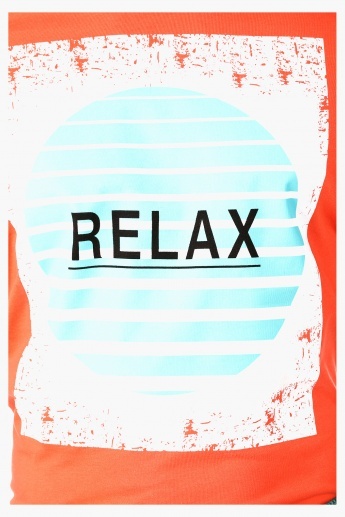 Step out in a casually trendy style with this t-shirt. 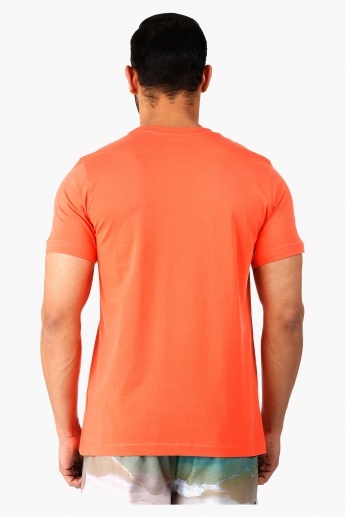 Featuring a crew neck and short sleeves, it comes in an appealing pastel shade. 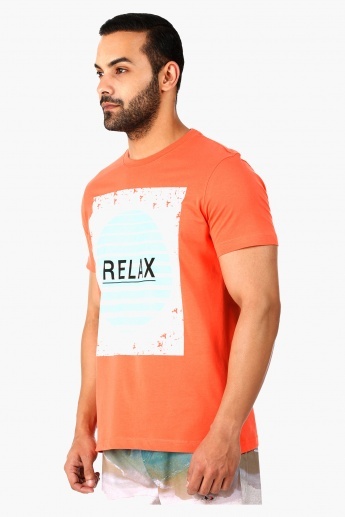 The graphic print lends a striking contrast effect to it.